Sealaska Heritage Institute (SHI) will open its second, biennial Juried Youth Art Exhibit this week and announce winners during Celebration 2018, scheduled June 6-9. 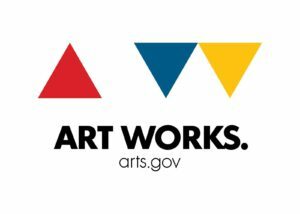 The Juried Youth Art Exhibit will showcase 30 Northwest Coast art-inspired pieces by 25 young artists from 9 communities, including Anchorage, Angoon, Craig, Juneau, Ketchikan, Klawock, Metlakatla, Sitka and Ward Cove. 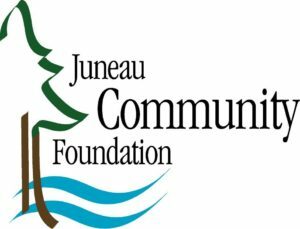 The exhibit will open with a First Friday reception scheduled 4:30-7 pm, Friday, June 1, at the Juneau Arts & Culture Center in Juneau and run through June 30. Winners will be announced at 4 pm, Wednesday, June 6, at the Walter Soboleff Building during the awards ceremony for SHI’s ninth, biennial Juried Art Show and Competition, a separate event for adult Northwest Coast artists. The Alaska State Museum opens its summer exhibit, Titanic of the North: The 1918 Wreck of the S.S. Princess Sophia, which chronicles the worst shipwreck ever in the Pacific Northwest. This year marks the 100th anniversary of the tragic event. 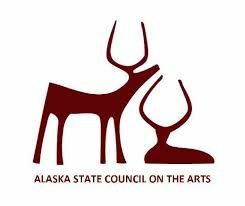 The opening reception from 4:30-7:00 is sponsored by the Friends of the Alaska State Library, Archives, and Museum. At 7:00 pm in the lecture hall, underwater archaeologist Jacques Marc and diver Annette Smith will explore life aboard the Princess Sophia pre-sinking, discuss its loss, and share footage from the wreck site. The exhibit will be on display through October 6, 2018. The lecture is the first in this year’s summer lecture series. For a complete list of Princess Sophia events around the community, visit rememberthesophia.org. Exhibit up through the summer. Coppa will feature new work by local artists Constance Baltuck and Barbara Craver; their paintings blend abstraction and representation in a celebration of color, Nature, and perseverance. Please join us for an opening from four to six pm, Friday, June 1st. Our June 2018 featured artists will be Southeast Alaska artists Linda Chase and Janine Gibbons. We’ll be showing handmade glass work from Linda Chase, which uses layers of glass to create a beautiful image in much the same way as a painter uses layers of paint. See her latest work on display in June! Also, enjoy a collection of original art from Janine Gibbons. Janine’s art is a fusion of landscape technique influenced by our natural surroundings, and traditional influences from her native culture. The opening reception will take place on Friday, June 1, beginning at 4:30 pm. More information about both artists available at www.anniekaills.com. FREE admission to the City Museum on Friday, June 1st from 4:00 – 6:00 pm for First Friday. View our continuing summer exhibit: Paintings by Dan Fruits, The sinking of the Sophia: Scenes from the Opera. First Friday only, exhibit up through the summer. We are honored to showcase local Juneau artist Averyl Veliz, and her new works in “Solstice”. Solstice is a dialogue on Juneau’s colonial story as expressed by our furthest and closest points to the sun, with all of the pieces taking place in Evergreen Cemetery. 10% of sales will be donated to Sealaska Heritage Institute. 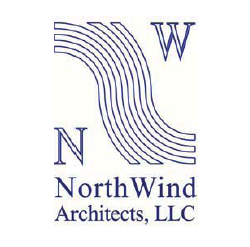 Art, Food, Drinks & Music at Northwind Architects, featuring new work in glass by MK MacNaughton. 10-minute artist talk with slideshow about the process of creating the pieces at 6pm and 7pm. Practical everyday items don’t have to be boring! Join us on your First Friday Walk-about with Puddle Hopper! Puddle Hopper products bring together: an appreciation for the simple pleasures of life, noticing the small details, and the unique look that only comes from quality handcrafted items. Sealaska Heritage will offer free admission to its two exhibits, the 2018 Juried Art Show and “Our Grandparents’ Names on the Land,” on First Friday. In the lobby, SHI will host featured artists Sam Sheakley and Levi Chilton. All are welcome. Eric Nyffeler is a designer/illustrator/human/living denim jacket who specializes in editorial and commercial illustration, screen printed posters, branding, and tasteless jokes. He is currently based in the Pacific Northwest (Portland, specifically), but spent his formative years in American Heartland. He has formal schooling in visual communication and design and print-making, and has been known to speak at various universities about such topics. His gritty geometry, analog textures, and mid-century whimsy has landed his work on and in some of the nation’s most hallowed walls and pages, including the permanent collection of the Library of Congress. Eric cut his teeth creating hundreds of screenprinted gigposters for some of the most notable musicians of our day, ranging from local punk bands to Grammy Award-winning artists. In recent years, he’s expanded his professional focus away from the stage, creating illustrations, icons, typography, and other visual ephemera for some of the world’s most exciting brands and publications. Eric Nyffeler will be setting up a pop up shop/exhibition with a specially curated selection of several dozen of his newest and favorite screenprinted art prints and gigposter, all of which are available for purchase. Featured will be on new acquisition of a Siberian Koryak Native made outfit obtained locally (and which we would like to know some more information about if the person who obtained it in Siberia recognizes it.) We have brought together some of our rare other Siberian pieces to keep it company and for your enjoyment. Featured through the month of June. Local artist Ricky Tagaban will hold a pop-up shop of his work, featuring recent Chilkat weavings that are perfect for Celebration! Earrings will include some collaborations with Mary Folletti and Roz Cruise. Ricky Tagaban is a local Two Spirits weaver who wants nothing more than to fish and do drag every day. The Juneau Artists Gallery will feature Laveda Loose for the month of June. Her new brand of clothing is called “Wearin’ Alaska” and has become a big hit with the locals and tourists alike. Her Alaska photography is printed on fabric that is made into leggings, capri pants, skirts, hats and more. Come meet Laveda for our First Friday Event on June 1st from 4:30 to 7pm. We are located in the Senate Building, 175 South Franklin Street. Our fabulously famous treats will be provided. The Juneau Artists Gallery is operated cooperatively by more than 20 local Juneau artists who each have a section in the gallery. One or two of the artists are always on duty on the ground floor of the Senate Building on South Franklin Street. The gallery still has spaces available for new artist members. Artist membership applications can be picked up at the gallery. Harbor Tea & Spice: Pepper It Up! Explore the world’s most traded spice with us. Pepper-Passionate-People join in on our “Pepper Snifting Contest” for a chance to win a grinder with your choice of peppercorns. Different colored peppercorns have distinctively different flavors and use. Stop by to learn more and, of course, we will have yummy peppered samples, oil and vinegar, and tea. This FREE first Friday class will offer nourishment and deep contentment to body, mind and spirit. We will practice gentle movements, restorative poses for resting and allowing yourself to be fully supported, and yoga nidra (deep rest). Bev Ingram will teach this class. She has been a serious yoga seeker and teacher for many years. Bustin’ Out Boutique is doing its monthly bra giveaway! Come see our latest styles, sip some wine, and sign up for a free bra! Spend $100 on anything in the store and get a 2nd entry for the free bra! Don’t forget to check out our newly replenished $25 Sale Bin Bras!